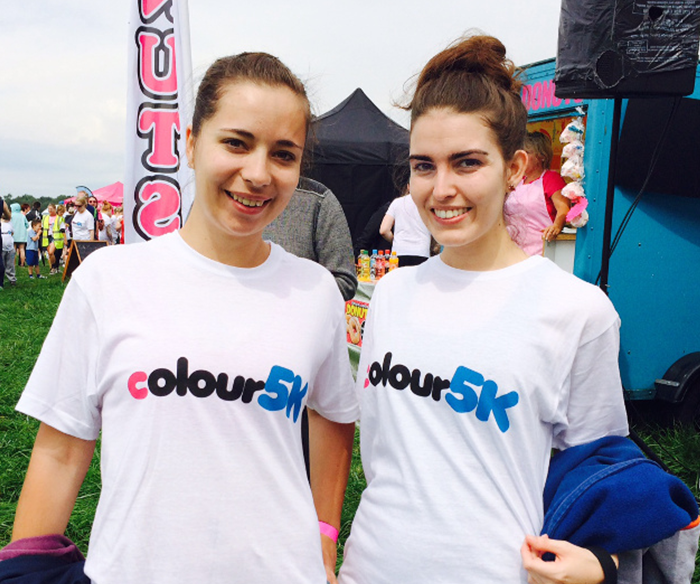 On Saturday our Social Media and Web Content Coordinator, Laura (that’s me), took part in the Colour5K just outside of Norwich. I arrived at the registration tent nice and early to collect my t-shirt, which as you can see looks white and pristine. Before the race kicked off we all joined in a mahoosive group warm up which included some Zumba moves which I was making up by the end of it (I’m not very co-ordinated) and then we waited patiently at the start line eager to go, once everyone was lined up we were off! The first 10-15 minutes of the race the heavens decided to open up and it made some of the grass hard work (as well as playing havoc with my contact lenses) but as most of us finished the first lap and received our first colour it had stopped. 45 minutes later I ran through the finish line, found a couple of my other friends who had also taken part, who were looking suitable colourful. 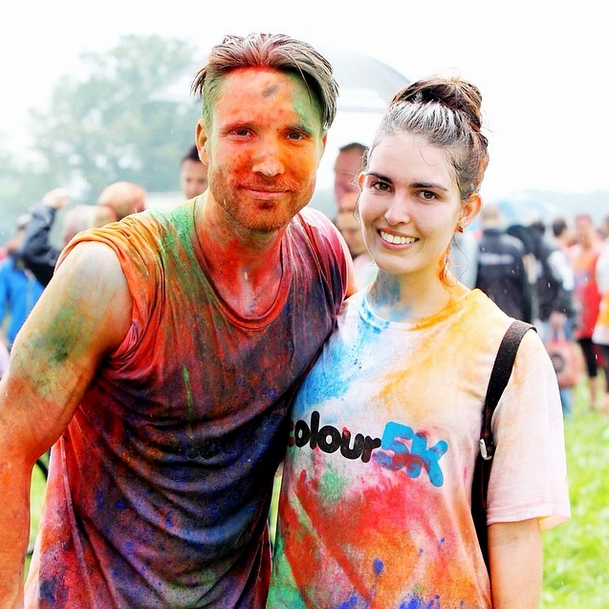 And then it was time for the colour spectacular to mark the end of the race, which was incredible to watch. All in all it was a fantastic day had by all, and lots of money raised for an incredibly worthwhile charity.